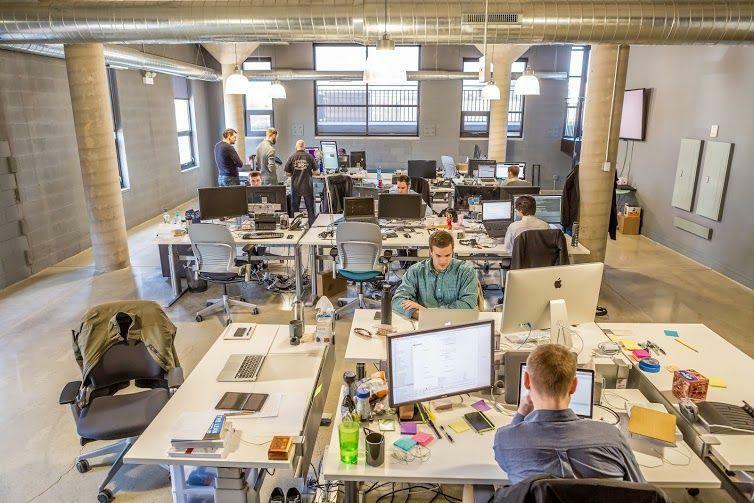 The rise of open offices has triggered a sort of “open office” revolution for a humongous amount of workplaces across the country – it feels like the death of the cubicle! 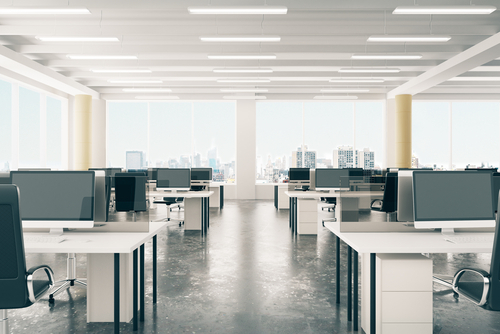 The rise in the use of open offices makes sense, though, since it’s easier for people to think in open areas, easier for them to communicate, and it saves money on office furniture (like partitions). 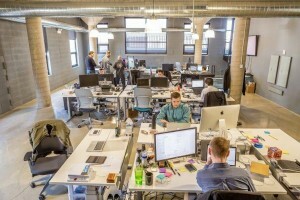 While not everyone works in an open office environment (with apologies to those still working in cubicles) there is a greater chance now than ever that you’ll find yourself working in an open-concept work environment. 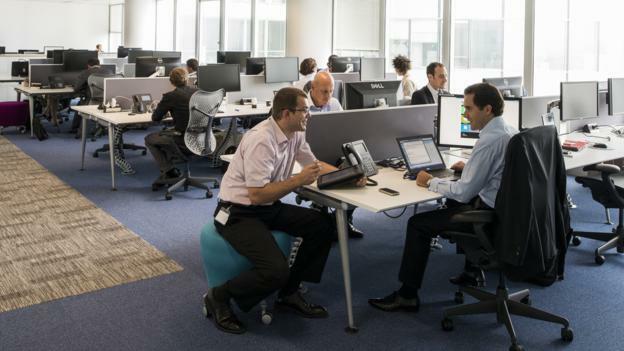 What’s the deal, then, with open workspace etiquette? It’s easy to shut people out when you have walls or even an office, but it becomes way more difficult to do so when you’re working in open offices – private space is essentially gone! Working in an open-concept office is a great way to foster teamwork with co-workers, but it does come with its own set of rules you need to follow to make sure your positive working relationships remain positive. When you work in an open office, knowing when to share and when to keep things to yourself is important. If you’re the type of person who enjoys listening to music while they work, you’re going to want to invest in headphones. The same goes for when you’re enjoying breakfast – try to bring foods which don’t smell, and try not to bring foods which might send someone to the hospital (ie. peanut allergies). Last but not least, knowing when to talk and when to focus is incredibly important. Open offices are a breeding ground for conversation, but sometimes you just need to get work done. Here’s a quick hint: when no one else is talking, or if you’re only receiving “yeah” or “uh-huh” responses, you should keep quiet! Just because you’re working in an open space doesn’t mean you don’t have a reason to go outside anymore. Especially because you’re bound to be more social in an open office, finding some time for yourself is even more important. Don’t forget to go outside, to get some time for yourself, and to be respectful when your coworkers want to do so, as well. Sometimes we just need to get away, and good open workspace etiquette is letting someone have their alone time. Just because you’re working in an open office doesn’t mean that all of your professional work is going to be done face-to-face. When it comes to assigning tasks, or following up on things, or even just dropping a casual reminder, sometimes it’s easier to present that information in the form of an e-mail. Knowing when to remind someone of something to their face, and when to e-mail them is super important. The key to this is the following: if there is a hard deadline, e-mail them! If it’s just a friendly reminder, and they already know the project exists, tell it to their face. Quite possibly the most important part of open workspace etiquette is knowing what to do with your phone! The last thing you want to do is be the annoying person who is constantly yapping on their cellphone in the middle of the office, getting in the way of everyone’s work AND discussing your personal/professional business. The best thing you can do when it comes to taking a phone call in an open office is: don’t! Instead, you should plug your headphones into your phone, and take your calls outside. Not only are headphones better for hearing phone calls, this will give you an opportunity to go outside (and away from your coworkers). This way you can keep things personal when it comes to your conversations. 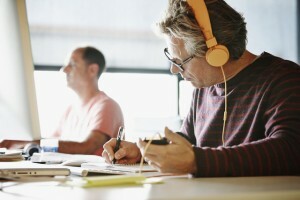 Working in open offices can be a lot of fun, but just like any workspace, it comes with its own unique set of rules. The most important thing to remember is to respect the space of everyone around you, while also having them respect yours. This means that if someone is breaking one of these important rules, bring it up with them! Chances are they don’t even know they’re breaking these rules, and they’ll fix their behavior so that everyone can go back to working in peace. Clear mind, open offices, can’t lose!